My name is Trish Allan MDI (CPDT). 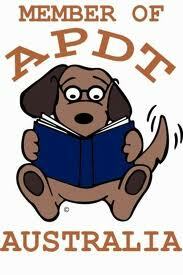 I am a member of the Delta Institute, Certified Professional Dog Trainer and Fear Free Certified Professional. I have a huge passion for all animals (big, little, furry, feathery & occasionally scaly). Over the years I have seen how the animal training industry has changed - mostly for the better and want to continue pushing it in this great direction. I firmly believe in training all of our pets, to ensure they remain valued members of our families. This can easily be achieved without using harsh practices and outdated techniques. After all we can train Zoo animals and marine mammals without using the outdated techniques, why should we use them on our pets? So what technique do I use and recommend? Positive Reinforcement (Reward based training). It may be something that you have heard about and understand, something that you have heard about and have a vague understanding of, or something totally new to you. But that doesn't matter. What matters is that we can all use it. So what is it? Well in a nut shell, it is rewarding the animal for doing the right thing and not aversively punishing it for doing the wrong. Positive Reinforcement is heavily based on learning theory. It is a sound and scientifically proven method. When I am not out training you to train your pet, I am lucky enough to still be working in the animal industry in other positions. I have a Certificate IV in Companion Animals - delivered via the Delta Institute. Delta was the first organisation to offer this nationally accredited course. Delta focuses on the use of reward based (food, toys, praise and play) training, and does not use techniques or tools that involve any pain or discomfort. I'm also qualified Certificate IV Veterinary Nurse, and still work in small animal practice. This is a position I enjoy immensely and has also sparked my interest in training our pets Husbandry Behaviours. These behaviours are basically teaching your pet a behaviour (consider this a trick), that allows us and you to handle, medicate and treat your pet in a less stressful way. These behaviours are routinely trained in zoo animals, however unfortunately our companion animals are often over looked. I guess this is because its a lot easier to restrain your average dog or cat than it is say your elephant or sea lion. An example of a husbandry behaviour in a companion pet is a voluntary foot presentation for nail clip, or to remain still without restraint for ear medications etc. Trust me, training these behaviours in your pet will help reduce both your and their stress levels at their next veterinary visit as well as with any follow up treatments you have to do at home. When I'm not at the veterinary clinic, I also work 3 days per week at TAFE as a teacher in the Animal Science department. I am a teacher for Certificate IV in Veterinary Nursing, Certificate III in Animal Studies (Behaviour), Certificate III in Animal Studies (Veterinary Nursing) and Certificate III Companion Animal Services courses with TAFE Queensland. Prior to starting this business, I worked as a Positive Trainer (RSPCA QLD) for 2 years taking both Puppy and Adult dog classes. What qualifications and continuing education do I have? ​Fenzi Academy FF450 Daredevil within: Building Confidence Through Skateboarding! I have always believed in continuing education. I have attended the Australian APDT annual conference every year since 2011, and have found this an invaluable education medium. This is something I plan to continue attending on a yearly basis. I attend all veterinary and behaviour seminars and workshops that I can each year. In March 2014 the RSPCA QLD hosted a seminar by Dr Katrina Gregory, after attending this I was 100% inspired. ​In February 2017, Dr Katrina Gregory and I presented a Cooperative Care 2 day workshop together on behalf of Chew Chomp and Chill. In June 2017 Anne McKnight and I presented a Cooperative Grooming workshop also on behalf of Chew Chomp and Chill. I am a current member of the Association of Pet Dog Trainers Australia, Delta Institute, Behaviour Education Network, and Pet Professional Guild Australia. In June 2018 I spent 3 weeks in South Africa working with some amazing people and Cheetahs. It was the experience of a lifetime! July 2018 was the first PPG (Pet Professional Guild) conference and it was great to be there learning from amazing speakers such as Kathy Sdao, Chirag Patel and Dr Kat Gregory. In August 2018 I started Susan Friedmans, LLA (Living and Learning with Animals) professional course - a course highly regarded in the veterinary and animal training industry for providing the science behind behaviour analysis (not just in companion animals but all species). 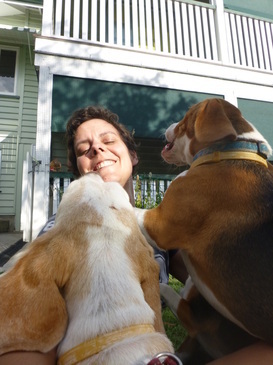 My home is filled with animals, and it is my daily mission to ensure they all receive the attention they deserve. I'm really looking forward to meeting you and your pets, so please continue exploring this site and check out the other pages. Don't hesitate to contact All Pets Education and Training if you feel I can be of assistance. If I am unable to assist you, I will be happy to refer you to someone that may be able to help. Please click on the picture to learn more about this association. Please click on the picture to learn more about this institute. Please click on the picture to learn more about this program. Please click on the picture to learn more about this network . 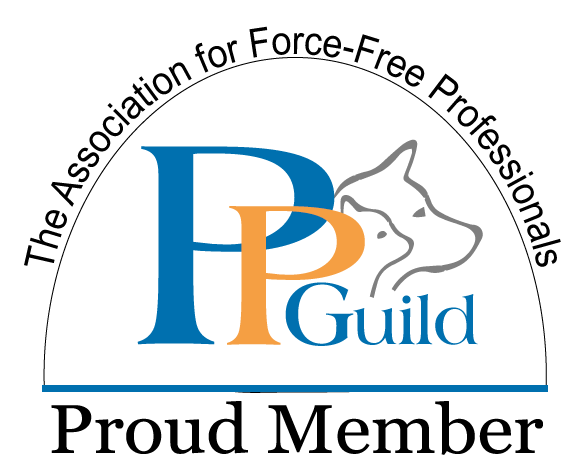 Please click on the picture to learn more about this guild.